Hi Valerie! Thanks so much for having me here. So, my name: My maiden name was Mary Virginia Carmichael. I’ve never been called Mary, but always called by my middle name, Virginia. That’s why one of my “pen names” is Virginia Carmichael. It actually IS my name! I have publishing credits from before I was married and when I signed my first contract, I decided to keep it as my professional name. 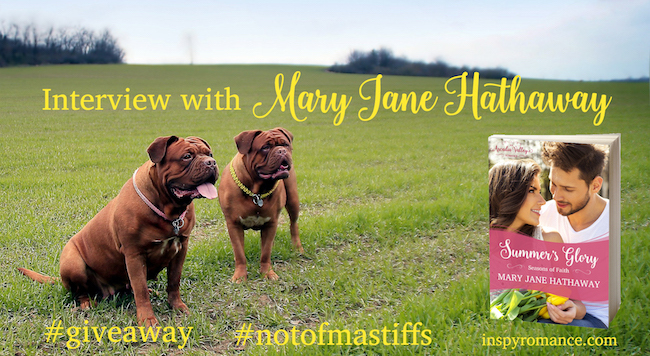 Mary Jane Hathaway is also a family name and I used it to separate my two publishing projects, although I use Mary Jane Hathaway most these days. *whew* So, that’s the lowdown on the pen names which are not actually pen names! 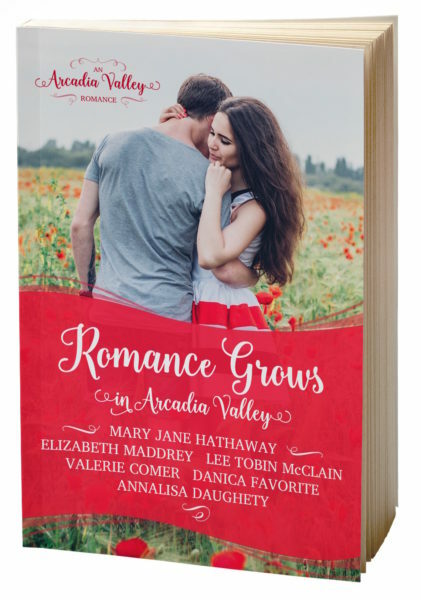 Our friends here at Inspy Romance have heard all about the Arcadia Valley Romance series, and many have read Romance Grows in Arcadia Valley. The first novel in your series inside that community, Summer’s Glory, releases on Tuesday. Are you excited? What drew you to joining the team of authors writing in Arcadia Valley? FOOD. Okay, that may be an oversimplification, but we’re very active in the fresh food movement in our community so it made perfect sense to write a series about it. Each author came up with a premise for her series. What’s the name of your series, and what’s it about in a general sense? My series is called Seasons of Faith. I love writing books for Christians on all steps of their faith journey, from baby believer to seasoned saint, and my stories will reflect characters who are following in the steps of Jesus as they discover true love. Spring’s Blessings (in Romance Grows in Arcadia Valley) is the novella prequel to your series. What’s it about, and how does it introduce the stories to come? Spring’s Blessings is about a young woman who has always felt called to live in a rural, agricultural community and when she finally takes a job in Arcadia Valley, she thinks she’ll be able to prove she was right to everyone who thought she was crazy. Her journey is learning to find her worth in her Divine Purpose, and rather in other people’s opinions. I think it’s a lesson every Christian has to learn or they’re just not able to step out in faith. Tell us about Summer’s Glory! Violet Tam thinks she’s escaped the boy who made her teen years a perfect misery, but when Silas Black comes back to town, she finds herself falling for the one guy she’s always hated. After his mother passes away, master carpenter Silas Black returned to Arcadia Valley to help his sister run their small farm. He was the town’s bad boy as a teen and it wasn’t just an image. But although the rest of Arcadia Valley has accepted that his juvenile delinquent years are behind him, there’s one woman who can’t accept that he’s really changed. When Violet reluctantly asks him to join forces to help out a friend in need, they discover there is more to each other than meets the eye, and certainly more than who they were in high school. Silas soon realizes he’s in danger of losing his heart to the strong, intelligent middle school teacher. Add in a shocking robbery, an emergency surgery, and a surprise litter of puppies, and the two former enemies must face the possibility that true love was waiting to bloom for them all along. Where did the idea for this novel come from? It tackles some hard subjects. A friend of mine was telling me about her time in high school as the only Asian in the entire community besides her parents. There was one boy who made her life miserable! At the ten year high school reunion, my friend said that this boy (now a man) sought her out to apologize for all the cruel things he’d said and done. My friend struggled with whether to accept his apology because she’d carried those wounds for years and years. She prayed about it, accepted his apology, and they have since become friends. I was so touched by their story of forgiveness that I wanted to write it into a novel! How does Summer’s Glory set up the rest of your Seasons of Faith series? Summer’s Glory is the first full length novel of the three, but is the second in the series, so it has a lot of characters already introduced in Spring’s Blessings. All of the books focus on brothers from the Delis family and their friends, so characters that might have had a cameo appearance in the first book, will be the main characters in the next. I especially like bringing back characters from the previous book as the supporting friends because then we can see how they’re doing! My books always have lots of weddings, babies, and new beginnings. What do your Arcadia Valley Romance books have in common with your other contemporary romance novels? Do you have any other releases in this genre coming up soon? I just released Until Winter Comes Again, my 6th book in the Cane River Romance series. All of my books show Christians overcoming real obstacles, experiencing God’s grace, and finding true love! Also, although my Cane River Series has Southern food and recipes, the Arcadia Valley series also focuses on delicious food and has recipes. I’ve had fun writing historicals, but my true love is contemporary fiction featuring real people dealing with real problems. Let’s give away one Kindle copy of Summer’s Glory! What’s one question you’d like to ask the Inspy Romance community to answer for their chance to win? I’d love to know your favorite family recipe! Is there something you’ve passed down for generations? One of our favorite family recipes is oyster stew and we have it every New Year’s Day. I blog on the Seekerville cooking site called Yankee Belle Café. My posts run the gamut from simple heirloom tomatoes drizzled with balsamic vinegar to individual triple layer chocolate mousse cakes to fresh grilled cactus. I lived in several European countries before settling in Oregon, I have family from Croatia, and my husband is from Mexico so there is no “ethnic” label on our food. If it’s fresh, we’ll try it. And if it’s good, you bet we’re gonna eat it! I believe in enjoying all the deliciousness that this world has to offer, especially the natural foods that come right from my own backyard. I’ve been known for more than my share of kitchen fails but I haven’t been fired yet, so I’ll just keep cooking and posting whatever strikes my fancy! 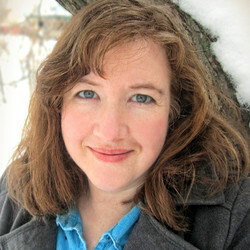 Mary Jane Hathaway is an award-nominated writer of Christian fiction and a home schooling mom of six young children who rarely wear shoes. She holds degrees in Linguistics and Religious Studies from the University of Oregon and lives with her habanero-eating husband, Crusberto, who is her polar opposite in all things except faith. They’ve learned to speak in short-hand code and look forward to the day they can actually finish a sentence. In the meantime, Virginia thanks God for the laughter and abundance of hugs that fill her day as she plots her next book. She also writes under the pen name of Virginia Carmichael and loves to meet readers on her facebook page of Mary Jane Hathaway or at her personal blog, The Things That Last. Interesting read, thanks for posting. Sounds like you have great fun cooking- I have to confess I have never heard of grilled cactus! I do not have any family recipes that have been passed down, but we love fresh food. I am blessed with a husband who loves to grow fruit and vegetables and love being able to cook with food from our garden. Hubby and I both have a weakness for chilli- I love fresh basil and tomatoes from the garden with green chillies on good sourdough, drizzled with some Red Island olive oil, yum! I used to bake bread every week. Now my gut doesn’t like wheat so well and my kids are adults, so I’ve gotten out of the habit. Sourdough is easier on the gut though. Something to do with the fermentation of the flour??? Thank you for sharing about your new books (and pen names… I’ve read books from both and at some point realized you were one and the same, but wondered why two names and how you’ve come up with them). As for family recipes, my grandmother (father’s mom) made these amazing Christmas cookies (pflastersteine, zimtsterne, baumkuchen, vanillehörnchen, and a few others) from recipes her parents brought from Germany before emigrating. Every year it was a big deal to eat her cookies and grandma would always make extras to give to family before Christmas. Last year one of grandfather’s sister-in-law asked my mom if she minded sharing the recipes and we learned that my grandmother was very secretive of them (she’d been gone for 14 years and only now someone dared to ask). It sounded like they were a family heirloom somehow. Now I have to ask – did your mom have your grandmother’s recipes, or are they lost? Oh we have them. Mom has been making them every year since I was a kid, even though it took her a while to get some the actual cookies right (i was in my teen years when grandma admited to change the original recipes “a bit” after my dad had to coerce her to make them with my mom’s assistance… I don’t think anyone else knows that though. Last year we realu that my aunt still doesn’t make zimtsterne because they will break all the time. Which is what happens if you actually follow grandma’s original recipe). Whew, glad to know you have them! That’s too funny about the tweaks though. I gave a friend who persisted in getting those family recipes and now the grown up grandkids are so thankful! What a treasure you have there. I agree some recipes are special an to be treasured. When my maternal grandma passed away, someone took her book of recipes from her home before my mom and aunt got there. We’re all still pretty sad about it since they didn’t have a copy of all recipes they enjoyed. Last week mom called a distant aunt to ask for a specific recipe that my cousin wanted to make for his kids. We’re actually scheduling a family get together to make it together. Great interview, ladies! 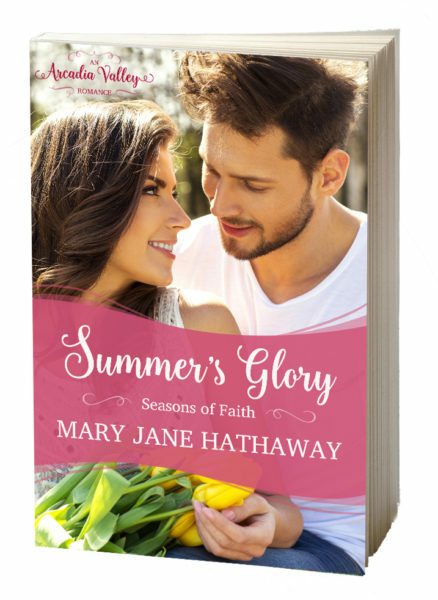 Mary Jane, the cover for Summer’s Glory is beautiful. One recipe that’s been passed down in my family is my grandmother’s German Chocolate Cake. It’s delicious! Mmmm now I want cake. I wish I had more recipes from my own maternal grandmother. She was a simple cook- but a brilliant chemist! Thanks for the interview Valerie and Mary Jane. As a reader and retired high school English teacher, I appreciate learning about the author and her inspiration for a story. Summer’s Glory is preordered and looking forward to a Valentine surprise. I may have to reread Spring’s Blessing, because I have read so many other books since reading Romance Grows in Arcadia Valley. Being German American my mother was an excellent cook and baker. After my parents passing (Mom 2007 & Dad 2014), while cleaning out their home to sell I inherited my mother’s recipes and cookbooks. I taught my three sons to cook and now I am teaching my grandkids. My youngest son is a cook He is following the family tradition. His great great grandfather Benjamin served as a cook for generals and officers in Volynia (Russia) from 1869 to 1877. Christmas 2015 my son’s received my cookbook Mom’s Family Recipes: Cooking as a Family Tradition. Our favorite family recipes are Beef Rouladen (made for Christmas, Easter, and birthdays), Chicken Fricassee, Yeast Waffles, German Goulash, Mom’s Famous Meatloaf, Sour Cream Coffee Cake and Bienenstich (Bee Sting Cake or German Baklava minus the honey but with almonds). I enjoy reading stories about food and books that include recipes. Best wishes and happy writing. I’m seeing the German-background recipes out in full force this morning. I’ve never heard of Bee Sting Cake. That sounds fascinating! I’d love to see that recipe sometime. One of my friends compiled a cookbook of family recipes and gave it to all the extended family one Christmas . What an enormous amount of work! What a gift! Wow, yes, that would be a lot of work. My niece-in-law made a small one for her sisters and gave me a copy, too. She was the oldest daughter and none of her sisters knew how to cook and kept asking for help as they grew up and left home! I’ve known you a long time on Seekerville, and the Cafe. Love seeing your recipes and your cute kids helping. You are the ideal Mom. Have read several of your books and hope to read more. Thanks for being here today! Aren’t her kids the cutest?!? Hi Jackie! That’s so sweet of you to say. I sure love being a mom and I’m thankful God fills in all the gaps when I fail. Although I’m from a Mennonite background and could claim several German dishes as family favorites, I think I have to go with Chocolate Chip Cake, which we’ve adapted from a 70s-era Betty Crocker cookbook. It’s the family go-to for birthday cakes in our gang. I have many of my mom’s recipes and inherited her well-used Mennonite Treasury of Recipes, which has notes and additional recipes in every available margin. Many of the pages are lined with butter, cocoa, or coffee stains! I think the soup recipes I inherited from her would rank very high in my kids’ thoughts as to the best-loved handed-down recipes. Mmmm…. food. I’m hungry. That’s what I get for coming here before breakfast! Some of my favorite food traditions are chicken and noodles for Thanksgiving; “Conley fudge” for Christmas – this fudge is NOT smooth, but made to be as grainy as possible; and salmon salad with peanuts – which I think must have been a very special occasion dish as salmon in Kansas in the late 1800’s/early 1900’s could not have been common or cheap. Salmon salad with peanuts? I’d love to try that! That fudge sounds intriguing. I can’t make fudge to save my life. Mine is always grainy! Mary Virginia Etc is here!!!! And her mission is to make us hungry for food and books! Mission accomplished. Your cover is simply…delicious! Now I know what to call her in future: Mary Virginia Etc. Works for me! Hi Tina Marie… I can’t remember your third name! I’m always hungry for food and books, aren’t you? Teresa. Yes. Always. Never ending. Bottomlessly. Fortunately I just made pancakes for breakfast! My mom didn’t enjoy cooking,but I do. So we have recipes that I made as my kids were growing that are their favorites. Honey baked chicken is a favorite in our family as well as at church potlucks. Chocolate chip cookies and brownies are other favorites. I’m looking forward to the new books coming out! I’m always trying to convince people of the wonder of local fresh farmers markets. I’ve gotten so much healthier since we started buying the bulk of our food there. My friend makes a citrus chicken recipe on the BBQ that is just amazing. I wonder if they’re similar? There’s so much good food in these books! I’ve read Mary Virginia Etc’s book that releases in TWO DAYS! And Elizabeth’s March release and Lee’s April release and my own May release. So.Much.Good.Food. And kisses. Can’t forget the kisses. Her books are definitely very foodie :) If you like to eat, you’ll like her books, LOL. I love all chicken recipes. Honestly, I’ve never met a chicken dish I didn’t like. I have met a few cookies I didn’t like. Very rare, but it happens. Thanks for the fun post, Valerie and Mary Virginia Etc. :-D This book looks and sounds fantastic! Our family has a Swiss bread recipe that we make. My maternal grandparents both came to America from Switzerland in the early 1900s. mmmmm. What makes Swiss bread special?? I’d love to know! It has eggs and butter in it, and it’s braided into a loaf. We just make it in a regular loaf pan. If you want it to be extra fancy, you can brush the top with egg yolk before you bake it, and it looks shiny on top. It’s so yummy right out of the oven with a little butter and honey or jam on it. This sounds similar to the bread my Croatian stepmother makes. She braids it and brushes with egg yolk, too. It’s just regular bread, but with the egg and butter, it’s delicious! Valerie, I so enjoyed finding out more about Virginia. I really liked Spring’s Blessing, and now I am looking forward to Summer’s Joy. I have a pumpkin bread recipe I was given my first year teaching, and I have passed it to children, my sister, and friends. I also have an ice cream dessert recipe from my grandma, that I make and now my daughter makes. Summer’s Glory! I hate auto correct! I love pumpkin bread and make it all the time, especially in the Fall. My recipe is called Maine Down’ester Pumpkin bread. Not sure if it really is from Maine but it’s soooo good. Pumpkin bread is a favorite here, too. And pumpkin scones, and pumpkin chocolate chip oatmeal cookies. Why yes, we have sometimes grown the HUGEST pumpkins and I needed a lot of recipes! Loved this interview because it’s easy to see y’all had fun talking to each other! Food seems to be the universal language, doesn’t it? My Sweet Mama, her sister and their girl cousins decided they needed to get together for a “Cousins Weekend.” They probably celebrated for fifteen years or so. My Sweet Mama stepped into the arms of Jesus on 01/07/10 and I think they’ve only had it once or twice without her. She was the ringleader of the gang! One year she thought up the grand idea of making a Cousins’ Cookbook – only I’m the one who did it for them. It was really fun. My Aunt is a FANTASTIC cook but she had the sketchiest recipes! Many of them didn’t have measurements because she made them so often she didn’t need to worry with them! Also, she’d have her ingredients listed but I’d be typing along and get in the directions part and it would instruct you to add an ingredient that wasn’t even listed! Can I just say it took me a while to put that Cookbook together for them! We put a photo of the whole group on the front and I had come up with some goofy name and they loved it! It’s filled with their family’s favorites so you know they’re all good! Also, Mary Jane I married a man who spent a few years in the Cane River area of Natchitoches, LA. He is a native Louisianan and lived there for 28 years. My man can cook!! OH My Goodness he can cook! His favorite chef is Chef John Folse who has the John Folse Culinary Institute. He has all of his cookbooks (autographed – including the ones that are out of print) & our children are in a panic as to who will get the cookbooks!! We’ve told them they need to start their own collection!! Two of my favorite dishes are Crown Roast of Pork with Shoepeg Cornbread Dressing and White Chocolate Bread Pudding with White Chocolate Sauce for Dessert. On Christmas Mornings, he makes Beignets using the original recipe from Cafe Du Mondè in New Orleans, LA. Thanks again Valerie for hosting Mary Jane. I love her Cane River books and I’m really looking forward to this new series as well!! One of my favorite family recipes is a tomatoey rice, bean, and ground beef casserole we call oven-put. The recipe came from my maternal grandmother and we always eat it on Christmas Eve.